During the past academic year, an upsurge of student activism, a movement of millennials, has swept campuses across the country and attracted the attention of the media. From coast to coast, from the Ivy League to state universities to small liberal arts colleges, a wave of student activism has focused on stopping climate change, promoting a living wage, fighting mass incarceration practices, supporting immigrant rights, and of course campaigning for Bernie Sanders. Both the media and the schools that have been the targets of some of these protests have seized upon certain aspects of the upsurge for criticism or praise, while ignoring others. Commentators, pundits, and reporters have frequently trivialized and mocked the passion of the students and the ways in which it has been directed, even as universities have tried to appropriate it by promoting what some have called “neoliberal multiculturalism.” Think of this as a way, in particular, of taming the power of the present demands for racial justice and absorbing them into an increasingly market-oriented system of higher education. In some of their most dramatic actions, students of color, inspired in part by the Black Lives Matter movement, have challenged the racial climate at their schools. In the process, they have launched a wave of campus activism, including sit-ins, hunger strikes, demonstrations, and petitions, as well as emotional, in-your-face demands of various sorts. 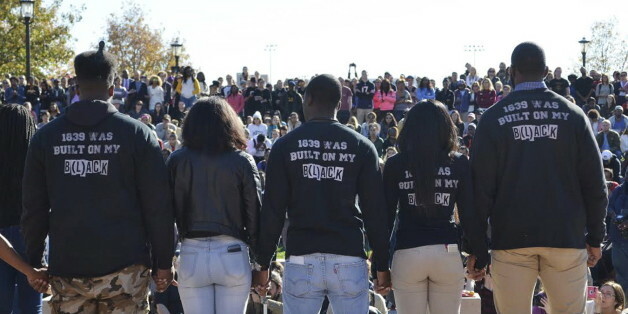 One national coalition of student organizations, the Black Liberation Collective, has called for the percentage of black students and faculty on campus to approximate that of blacks in the society. It has also called for free tuition for black and Native American students, and demanded that schools divest from private prison corporations. Other student demands for racial justice have included promoting a living wage for college employees, reducing administrative salaries, lowering tuitions and fees, increasing financial aid, and reforming the practices of campus police. These are not, however, the issues that have generally attracted the attention either of media commentators or the colleges themselves. Instead, the spotlight has been on student demands for cultural changes at their institutions that focus on deep-seated assumptions about whiteness, sexuality, and ability. At some universities, students have personalized these demands, insisting on the removal of specific faculty members and administrators. Emphasizing a politics of what they call “recognition,” they have also demanded that significant on-campus figures issue public apologies or acknowledge that “black lives matter.” Some want universities to implement in-class “trigger warnings” when difficult material is being presented and to create “safe spaces” for marginalized students as a sanctuary from the daily struggle with the mainstream culture. By seizing upon and responding to these (and only these) student demands, university administrators around the country are attempting to domesticate and appropriate this new wave of activism. In a response that, under the circumstances, might at first seem surprising, college administrators have been been remarkably open to some of these student demands -- often the very ones derided by the right. In this way, the commentators and the administrators have tended to shine a bright light on what is both personal and symbolic in the new politics of the student protesters, while ignoring or downplaying their more structural and economically challenging desires and demands. University administrators have been particularly amenable to student demands that fit with current trends in higher education. Today’s neoliberal university is increasingly facing market pressures like loss of state funding, privatization, rising tuition, and student debt, while promoting a business model that emphasizes the managerial control of faculty through constant “assessment,” emphasis on “accountability,” and rewards for “efficiency.” Meanwhile, in a society in which labor unions are constantly being weakened, the higher education labor force is similarly being -- in the term of the moment -- “flexibilized” through the weakening of tenure, that once ironclad guarantee of professorial lifetime employment, and the increased use of temporary adjunct faculty. In this context, universities are scrambling to accommodate student activism for racial justice by incorporating the more individualized and personal side of it into increasingly depoliticized cultural studies programs and business-friendly, market-oriented academic ways of thinking. Not surprisingly, how today’s students frame their demands often reflects the environment in which they are being raised and educated. Postmodern theory, an approach which still reigns in so many liberal arts programs, encourages textual analysis that reveals hidden assumptions encoded in words; psychology has popularized the importance of individual trauma; and the neoliberal ideology that has come to permeate so many schools emphasizes individual behavior as the most important agent for social change. Add together these three strands of thought, now deeply embedded in a college education, and injustice becomes a matter of the wrongs individuals inflict on others at a deeply personal level. Deemphasized are the policies and structures that are built into how society (and the university) works. For this reason, while schools have downplayed or ignored student demands for changes in admissions, tuition, union rights, pay scales, and management prerogatives, they have jumped into the heated debate the student movement has launched over “microaggressions” -- pervasive, stereotypical remarks that assume whiteness as a norm and exoticize people of color, while taking for granted the white nature of institutions of higher learning. As part of the present wave of protest, students of color have, for instance, highlighted their daily experiences of casual and everyday racism -- statements or questions like “where are you from?” (when the answer is: the same place you’re from) or “as a [fill in the blank], how do you feel about...” Student protests against such comments, especially when they are made by professors or school administrators, and the mindsets that go with them are precisely what the right is apt to dismiss as political correctness run wild and university administrations are embracing as the essence of the present on-campus movement. At Yale, the Intercultural Affairs Committee advised students to avoid racially offensive Halloween costumes. When a faculty member and resident house adviser circulated an email critiquing the paternalism of such an administrative mandate, student protests erupted calling for her removal. While Yale declined to remove her from her post as a house adviser, she stepped down from her teaching position. At Emory, students protested the “pain” they experienced at seeing “Trump 2016” graffiti on campus, and the university president assured them that he “heard [their] message... about values regarding diversity and respect that clash with Emory’s own.” Administrators are scrambling to implement new diversity initiatives and on-campus training programs -- and hiring expensive private consulting firms to help them do so. Historian and activist Robin Kelley suggests that today’s protests, even as they “push for measures that would make campuses more hospitable to students of color: greater diversity, inclusion, safety, and affordability,” operate under a contradictory logic that is seldom articulated. To what extent, he wonders, does the student goal of “leaning in” and creating more spaces for people of color at the top of an unequal and unjust social order clash with the urge of the same protesters to challenge that unjust social order? Kelley argues that the language of “trauma” and mental health that has come to dominate campuses also works to individualize and depoliticize the very idea of racial oppression. The words “trauma, PTSD, micro-aggression, and triggers,” he points out, “have virtually replaced oppression, repression, and subjugation.” He explains that, “while trauma can be an entrance into activism, it is not in itself a destination and may even trick activists into adopting the language of the neoliberal institutions they are at pains to reject.” This is why, he adds, for university administrators, diversity and cultural competency initiatives have become go-to solutions that “shift race from the public sphere into the psyche” and strip the present round of demonstrations of some of their power. In recent years, cultural, or identity, politics has certainly challenged the ways that Marxist and other old and new left organizations of the past managed to ignore, or even help reproduce, racial and gender inequalities. It has questioned the value of class-only or class-first analysis on subjects as wide-ranging as the Cuban Revolution -- did it successfully address racial inequality as it redistributed resources to the poor, or did it repress black identity by privileging class analysis? -- and the Bernie Sanders campaign -- will his social programs aimed at reducing economic inequality alleviate racial inequality by helping the poor, or will his class-based project leave the issue of racial inequality in the lurch? In other words, the question of whether a political project aimed at attacking the structures of economic inequality can also advance racial and gender equality is crucial to today’s campus politics. The student movement that has swept across the nation has challenged colleges and universities on the basics of their way of (quite literally) doing business. The question for these institutions now is: Can student demands largely be tamed and embedded inside an administration-sanctioned agenda that in no way undermines how schools now operate in the world? Feminist theorist Nancy Fraser has shown how feminist ideas of a previous generation were successfully “recuperated by neoliberalism” -- that is, how they were repurposed as rationales for greater inequality. “Feminist ideas that once formed part of a radical worldview,” she argues, are now “increasingly expressed in individualist terms.” Feminist demands for workplace access and equal pay have, for example, been used to undermine worker gains for a “family wage,” while a feminist emphasis on gender equality has similarly been used on campus to divert attention from growing class inequality. Clearly, university administrators prefer student demands that can be coopted or absorbed into their current business model. Allowing the prevailing culture to define the parameters of their protest has left the burgeoning Millennial Movement in a precarious position. The more that students -- with the support of college and university administrations -- accept the individualized cultural path to social change while forgoing the possibility of anything greater than cosmetic changes to prevailing hierarchies, on campus and beyond, the more they face ridicule from those on the right who present them as fragile, coddled, privileged whiners. Still, this young, vibrant movement has momentum and will continue to evolve. In this time of great social and political flux, it’s possible that its many constituencies -- fighting for racial justice, economic justice, and climate justice -- will use their growing clout to build on recent victories, no matter how limited. Keep an eye on college campuses. The battle for the soul of American higher education being fought there today is going to matter for the wider world tomorrow. Whether that future will be defined by a culture of trigger warnings and safe spaces or by democratized education and radical efforts to fight inequality may be won or lost in the shadow of the Ivory Tower. The Millennial Movement matters. Our future is in their hands.